Safety: This is of course the most important consideration for any project. 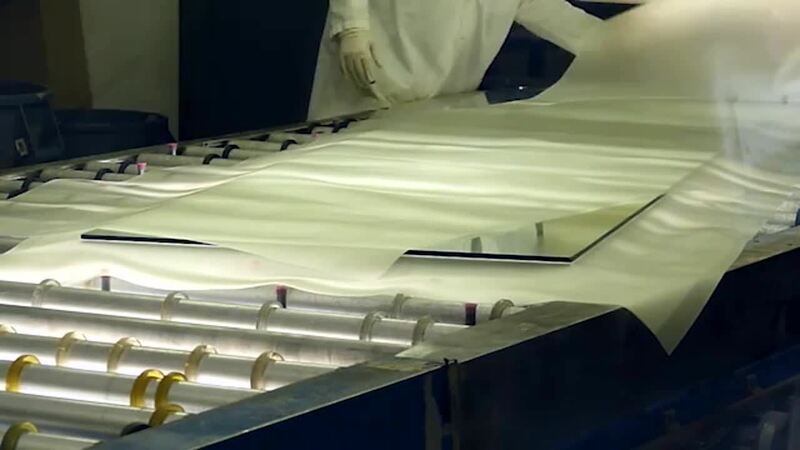 Safety glazing materials, such as tempered or laminated glass, must be specified where required by specific building codes or the designer’s judgment based on the glass’ use. 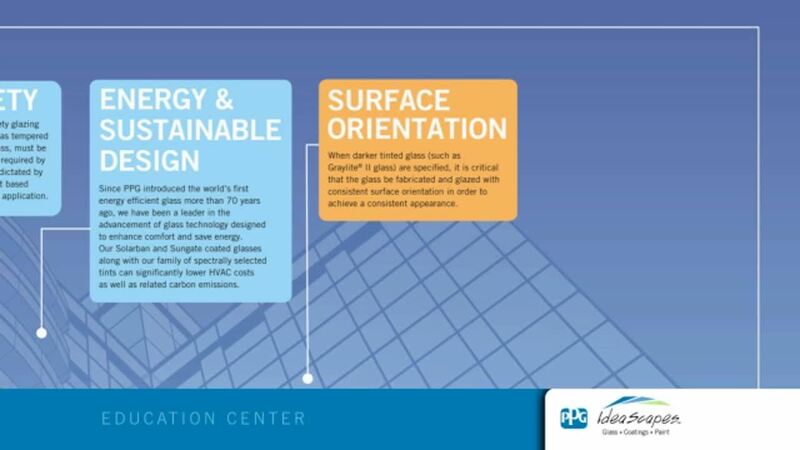 Energy Efficiency and Sustainable Design: Since Vitro Architectural Glass (formerly PPG glass) introduced the world’s first energy efficient glass more than 70 years ago, it has been the leader in the advancement of glass technology designed to enhance comfort and save energy. Solarban® and Sungate® coated glasses are spectrally-selected tints that can have a significant impact on HVAC costs and carbon emissions. Vitro glass is the first U.S. glass manufacturer to have its entire product line Cradle to Cradle® Certified, demonstrating its commitment to the environment through a building’s life cycle. Surface Orientation: As flat glass is produced in the float glass process, it ends up with a “tin side” that contacted the liquid tin, along with an “air side.” When darker tinted glass (such as Graylite® II glass) is specified, it is critical that the glass be fabricated and glazed with consistent surface orientation in order to achieve a consistent appearance. Color Shift: A transmitted and/or reflective color shift can result when various coatings and tints are incorporated into the glass design such as a low-emissivity coating, opacifier coating or a tinted interlayer material, among other things. 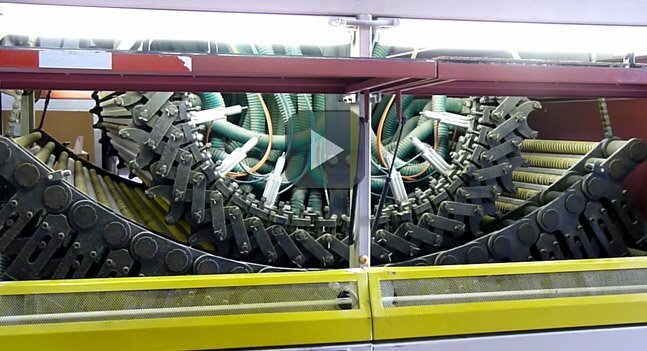 In addition, a coating used in an IGU can appear differently if that same coating is used in a laminated application. It’s even more pronounced if clear glass is combined with light colored opacifier coatings or interlayers. That’s why for color consistency, Vitro glass recommends using the same glass product constructions throughout a project. Wind and Snow Loads: The industry recognizes ASTM E1300 as the standard for determining load. The appropriate glass thickness and type (annealed, heat-strengthened and tempered) must be specified to resist the design wind and/or snow loads that a project will face. Thermal Stress: Strengthened glass (heat-strengthened or tempered) may be required to resist thermally induced stresses in a specified glass. These stresses are caused by a number of design factors, including the glass type, shading patterns, indoor shading devices, etc. If these factors aren’t considered, they can and do lead to glass breakage. 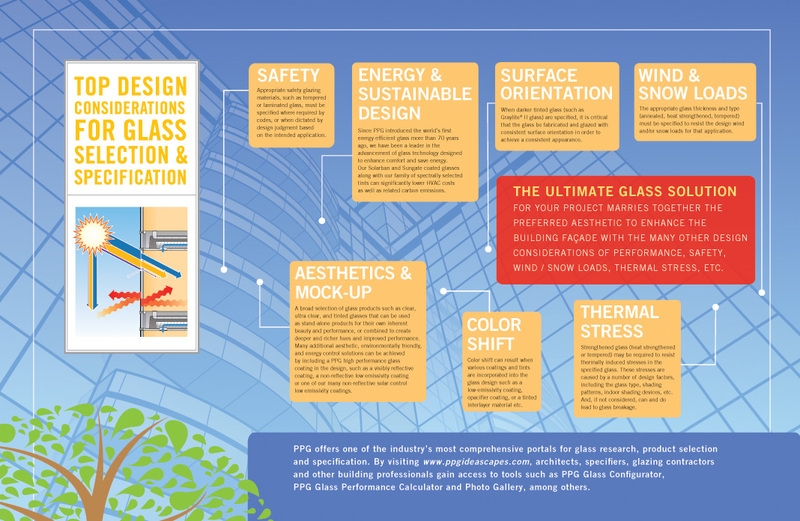 Vitro glass also offers information and a thermal stress analysis tool to help design professionals evaluate the risk. Aesthetics and Mock-Up: Vitro glass' broad selection of glass products, including clear, ultra-clear and tinted glasses can be used as stand-alone products or combined to create deeper and richer hues and improved performance. Many additional aesthetic and energy efficient solutions can be achieved by including a Vitro glass high-performance glass coating in the design. Add in a custom fabrication using multiple glass lites, ceramic frits and laminates, and the choices are virtually limitless. That’s why before making a final design decision, Vitro glass always recommends viewing a full-size mock-up. Keeping these and other factors in mind will help ensure an aesthetically amazing project that also delivers top line performance. 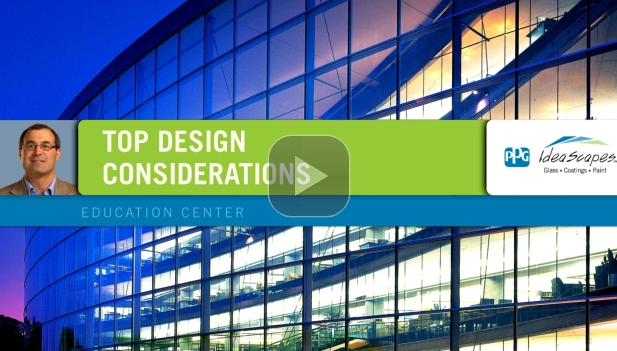 For complete technical information about designing with glass, read the Vitro Architectural Glass Design Guidelines. For any other glass questions, please contact Vitro glass or call 1-855-VTRO-GLS (1-855-887-6457).